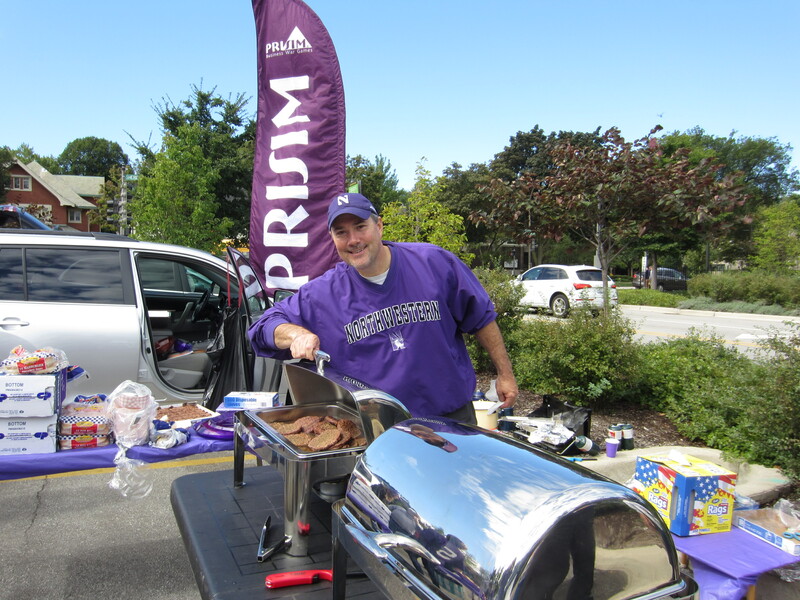 A beautiful late summer day, BBQ, games and more set the stage for the Annual MEM/PriSim Tailgate on Saturday, September 12th. PriSim Business War Games sponsored the pre-game party before the Northwestern Wildcats took on the Eastern Illinois Panthers. While students enjoyed the festivities, alum were able to reconnect with old friends and faculty. Jeff Luckett, an MEM 2007 alum, said “I look forward to the annual tradition as a way to catch up with the incredible faculty, staff and fellow alum that make the MEM program invaluable. I am inspired by the excitement and energy of the new students. What a great way to spend a fall afternoon!” Luckett even brought his family along to indulge in some football fun. All of this excitement was followed by a Wildcat victory over the Panthers. After rushing 344 yards, the Wildcats put up 41 points while the Panthers went scoreless. This was the first shut out Northwestern’s football team has seen since September 1, 2007. Thank you again for the sponsorship of PriSim Business War Games – and we will see everyone next year! Jeff (’07) is a good luck charm, first shutout since ’07. There must be something about that class year.